KYY has the tendency of not saying it all whenever he writes. The YTL Group was just like any other ordinary contractor before the company was awarded its maiden IPP in Malaysia. 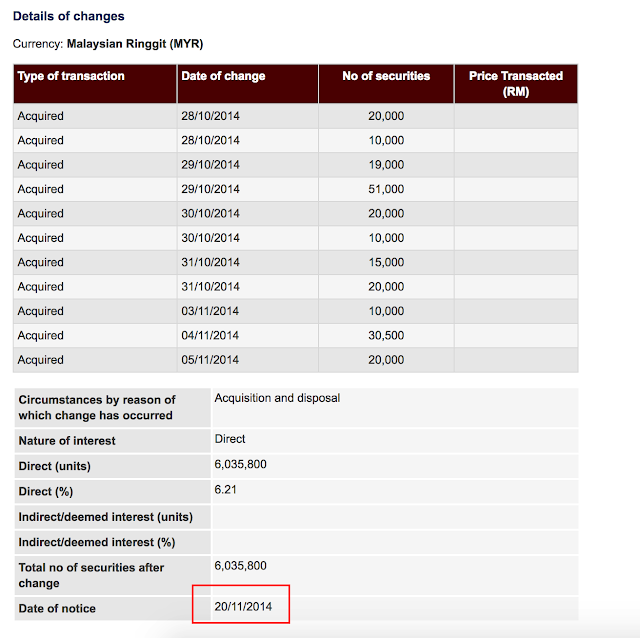 From a humble beginning, YTL Corporation Bhd’s market cap today stands at RM1.65 bil (actually this is a mistake, it is RM16.5 billion and much more dividends before this), that of YTL Power International Bhd at RM12.8 bil and YTL Land and Development Bhd (RM578 mil). Additionally, the YTL Group also owns YTL Cement Bhd, YTL Hospitality REIT, among others. Investors would recall that on Sept 29, 1992, a total power blackout engulfed the nation for several days. This landmark incident sparked a privatisation of the power generation sector that broke the dawn for IPPs in Malaysia. In the process, Tenaga Nasional Bhd’s monopoly of the power generation sector was dismantled by then-Prime Minister Tun Dr Mahathir Mohamad as YTL Power was awarded the nation’s first IPP licence in 1993. As a result, the YTL Group has been making unprecedented amount of profit every year. 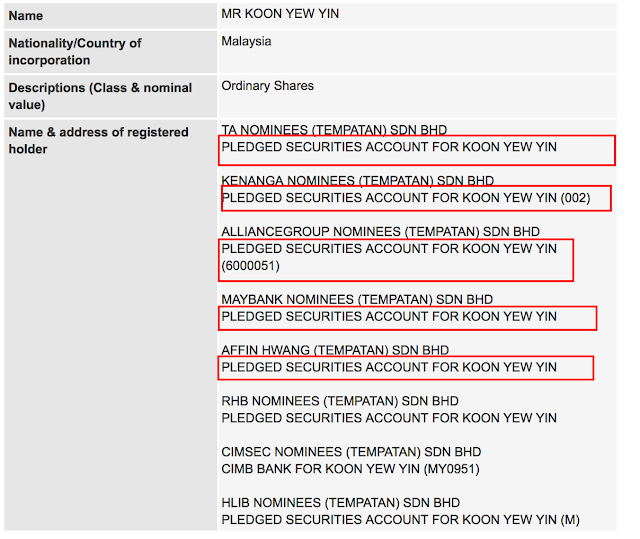 Before it secured the IPP, the YTL Group was just an ordinary contractor but today, it is so different. What is not correct in his statement? YTL's IPP during then was the sweetest ever that nobody else would have gotten it. Tenaga was sort of forced to do an offtake. Tenaga was asked to take up YTL's generation whether Tenaga needed it or not. In another words, in layman's term, whether there is such demand for example, 80% of the generation, Tenaga has to take it - even if there is no such usage demand. Another thing which is very important in that deal is that YTL's costs is fixed - meaning the fuel generation costs are already subsidised at a fixed rate. Other parties - if not wrong Tenaga and Petronas has to consume the fluctuations. Please read this article if you are serious into investing into JAKS. How Malaysia's IPP was born. This is obviously correct, as it comes from the horses mouth - the Executive Chairman of Tenaga then, and many more people know about this. In fact, if you walk into Tenaga and asked people whom are in the know of the deal during those days, they will say, they will never give a project to YTL anymore, NO MATTER WHAT! That was more than 20 years back and many people today will not know about it. Think about it, if YTL can pull a deal then in a year, why does it need JAKS to pull a deal in Vietnam over 6 years. It is not that sweet. Many people also ask me when will I sell my holdings. Since I know JAKS will be making a lot of profit in the next 3 years during the construction and 40% of the profit from the sales of electricity for 25 years, I intend to keep all my shares for many years. I obviously do not know KYY's net worth - it seems it is a lot, but HE HAS BEEN BUYING ON CREDIT. His purchases if you really read is all on pledged account. He and his wife's. How do you read this? Look at the red boxes. JAKS although it is good, it is not generating good important cashflow for it to pay dividends even for few years to come. For a person to hold it until beyond 2020, he needs to get the company to pay him back (to support his pledged accounts) - either dividend or capital appreciation! JAKS is not going to pay dividend. Does anyone know that JAKS has never paid dividend before - not in last 17 years! Unless, KYY arm-twist the company to do that it is not obliged to pay dividend. And the company has no cashflow to do that. If dividend is not forthcoming, he has to sell to pay his interests from the sale of his shares in JAKS. Hence, he will not hold for long term, he will sell some. He is pumping and dumping along the way. His other holdings e.g. Latitude Tree has proven that. See below. He bought a substantial stake (more than 5%) and continue to buy more after November 2014. However, by Nov 2015, he has ceased to be a substantial shareholder. That's a year. He IS NOT A LONG TERM INVESTOR. PERIOD. He buys in and ask you to buy so that he can buy out. The profit of about RM400 mil for JAKS will flow back into the JV company to fund JAKS’ equity portion. In other words, JAKS only needs to fork out RM203mil to own a 30% stake in the power plant. JAKS is also given an option to buy up another 10% of the JV company. Nowhere in JAKS announcement that says it is using the profit to put back into the JV company. Unless, he has inside information, which I would like to know as well. Also, usually, deals are not done that way - unless of course the China partner is such a nice partner - could happen. What is correct in JAKS? 1. Please read my article here. JAKS in getting this project, assuming they can complete this project will be very good for the company, but one must know that JAKS has only 30% of the IPP (and option to grow to 40%, but even then the costs of buying the additional 10% is not known) - it is not even the controlling shareholder in that IPP anymore. However, the keyword is assuming they complete this project, which I think they can do - but remember it is 2020. At this moment, JAKS is sucking cashflow until 2020. 2. JAKS would not be getting a deal as lucrative as YTL. In fact, no one gets a deal as lucrative as YTL. I again request you to read that article by Kinibiz (put it up again), as it is long and mind consuming to read it - including for me. 4. Despite whatever we can say good abut JAKS, all the good things that is written about JAKS, its main shareholders has not done anything to proof to me they are good directors and will share their returns with shareholders. This I am aware. What is being speculated by me on KYY's latest article? I am obliged to declare that I am the largest shareholder of JAKS and that I’m not asking readers to buy JAKS to support its share price. If readers decide to buy, then they are doing so at their own risk. No, as proven again and again, he is asking us to support the share price so that he can dump onto us. Why? He seems to be in a rock and a hard place. 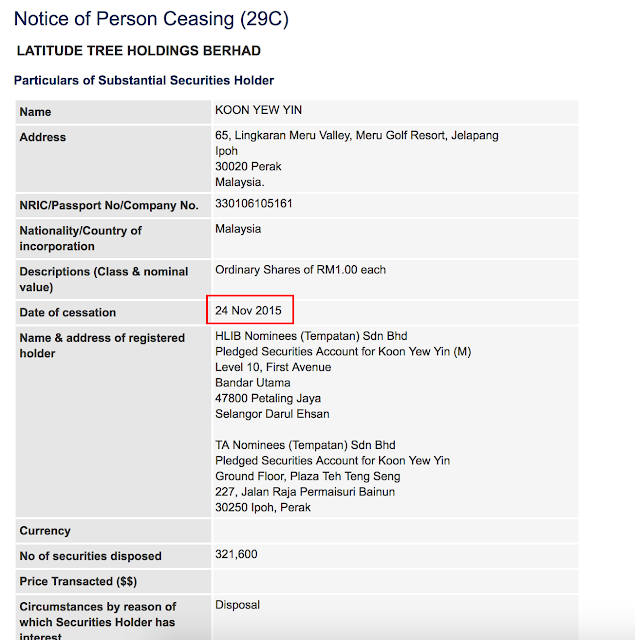 While he has bought until 26% of JAKS, it appears that the current, controlling shareholder is not playing ball. They are calling a placement. It seems that there is no truce yet. The current shareholder can't push up (but fighting) to support KYY's sale, hence calling this placement in such a hurry. Why I am writing this? I see writing by a so-called super investor as something that people follow a lot. It is important to write responsibly. I am not attacking him but would want to put things into right perspective. In fact, I am holding JAKS as well - not in large volume. I could have let him have his writing and I ride along as well. But investment is not for one to just pump and dump onto other shareholders. But for all to enjoy a long term ride. JAKS can still be a long term share. Recently, obviously with the much speculation in shares (which is good), there are many more of these writers whom are just being greedy and irresponsible when writing. Some of whom, I have no intention of even countering. But it is for investors to be really careful and study. 1) When the Indian IPP was ongoing, Mudajaya made so much money they were awarded best construction company 3 years in a row. That didn't save them from the massive losses that came later. Lesson is: the meat of an IPP is not in the construction, it is in the concession. 2) The same thing was said about the Indian power plant, the there's no way the Indian gomen will jeopardise the project because the financiers are Indian banks. In Jaks case, the fiananciers are not even Vietnamese. Good luck Uncle Koon on your massive bet. Hope you bought a gem rather than a dud. Anyway, if the project is so lucrative, why aren't insiders buying the shares like crazy? You got a good point. "No, as proven again and again, he is asking us to support the share price so that he can dump onto us." "I see writing by a so-called super investor as something that people follow a lot. It is important to write responsibly. I am not attacking him but would want to put things into right perspective." Well done felicity. Good to make a better investing environment in Bursa. I think u write this blog because u like to share, not like many of those writting for profit and self interest. If that 400m is not flow back to the jv, with the private placement only raise only so little fund, can jaks able to pay what the amount they needed to pay? That's why I bought some as well. It is not all that bad. Frankly, the way the things are going on, it is good for the current minorities. Just must know when to go in and out. Capital contribution contracted but not provided for in respect of shares subscription in JAKS Pacific Power Limited. Amounting to USD110.94 million. It is better to be wary of wise man (on margin financing) bearing good news/ gift! Salute your critical thinking and above-self attitude (even though you own some JAKS shares, but you still proceed to "hantam" any incorrect facts by some "wise" man). I just wanted to add in my concern here....Vietnam and China are not known to have good relationship. There was a time when the Viets rioting against the Chinese due to the tensions in the South China Sea issue. As IPP is a long-term project, country vis-a-vis political risk cannot be ignored.